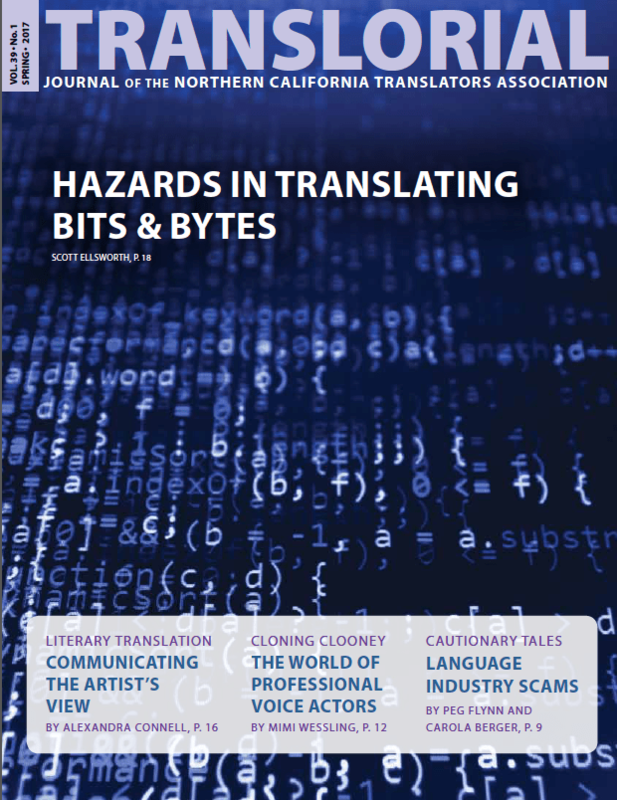 NCTA members can download the Spring 2017 edition of the Translorial in print and downloadable PDF versions, covering a variety of topics. 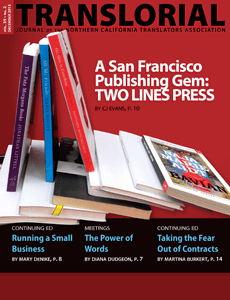 A small publishing house in San Francisco is making its mark in the industry by bringing previously untranslated international works to an American readership. Congratulations are in order for Alison Anderson and Sarah Llewellyn on the publication of their translation, from the French, of the recently released memoir of former Colombian presidential candidate Ingrid Betancourt, “Even Silence Has an End” (Penguin Press). Alison, a long-time member of NCTA before her move to Switzerland in 2008, was the work’s principal translator, with Sarah, who is based in San Francisco and is currently NCTA’s Continuing Education Director, collaborating as second translator. The book is a riveting account of Betancourt’s harrowing ordeal as a hostage of the FARC (Revolutionary Armed Forces of Colombia), which kidnapped her in 2002 and held her in the most appalling conditions imaginable, deep in the Colombian jungle, for more than six years. The book is as much a tale of survival as it is a meditation on the meaning of life itself: fear and freedom, hope and what inspires it.